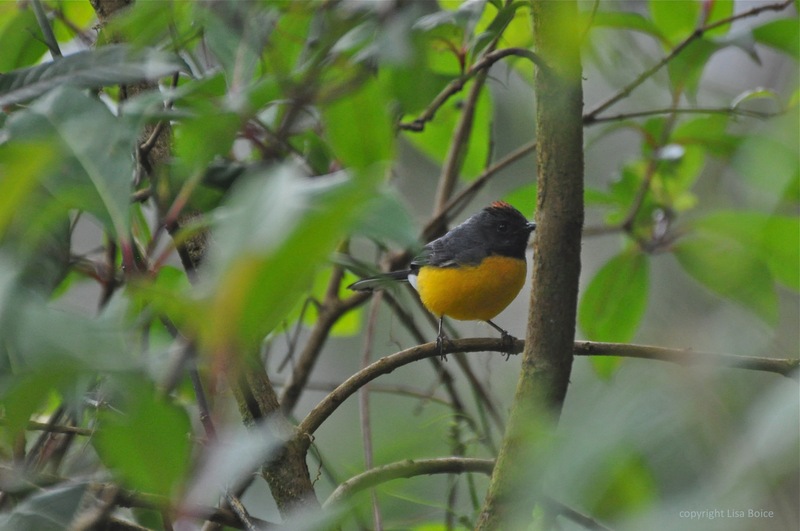 It was April 2010 when Steve and I were canoeing down the Macal River in Belize and where I saw my first Prothonotary Warbler. 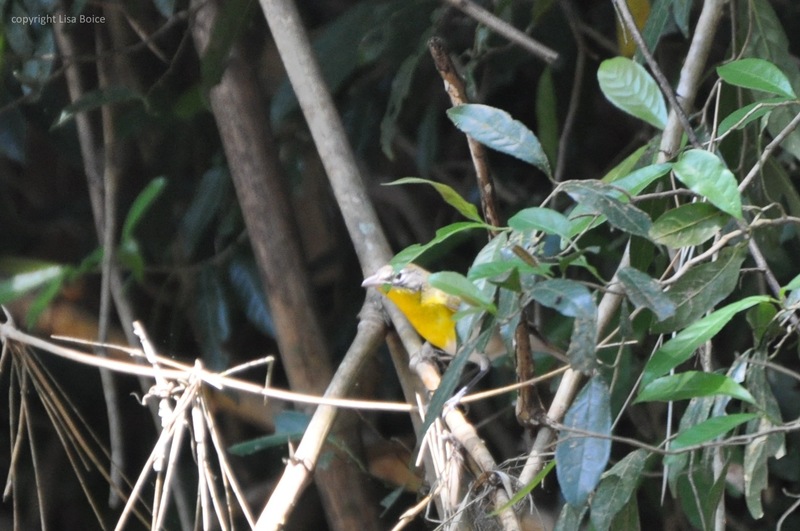 Eric, our guide, excitedly pointed out the colorful yellow bird to us. 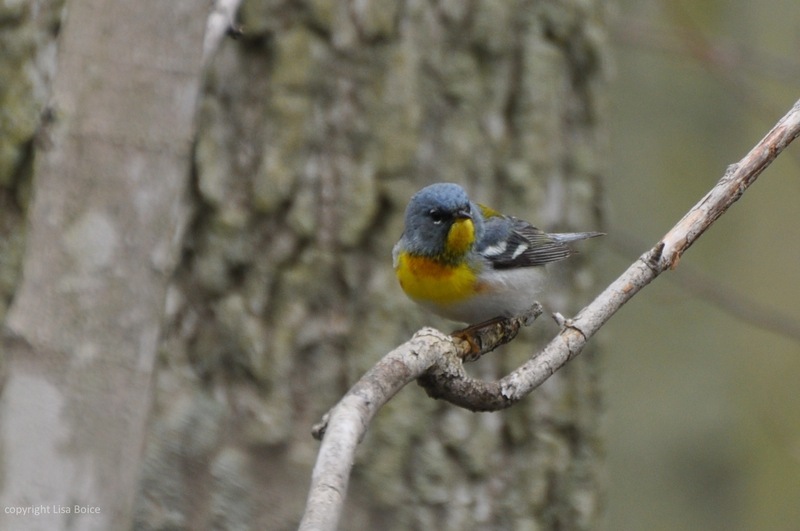 Now fast forward to the following Spring–May, to be exact–where I saw my second Prothonotary Warbler at Point Pelee in Ontario Canada. 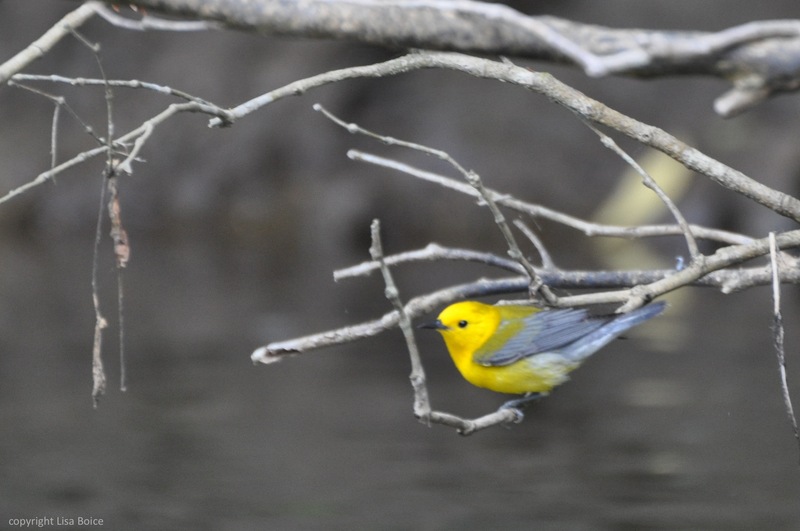 So this means, the little yellow bird flies roughly 5,000 miles each way when migrating. Me? Well I probably take the elevator at work far more often than I should instead of taking the stairs. I’m too lazy to be a Warbler, I suppose. Sigh. I’m working on it. I promise. 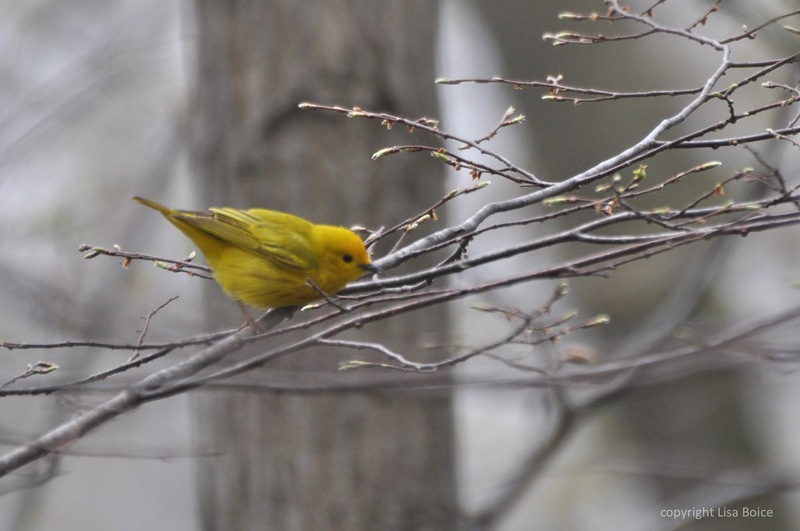 Right now we have a resident Yellow Warbler in our backyard. I can hear him sing, but I’ve yet to see him. Steve says he sees him all the time. Alas, the Warbler conspiracy is directed only at me. 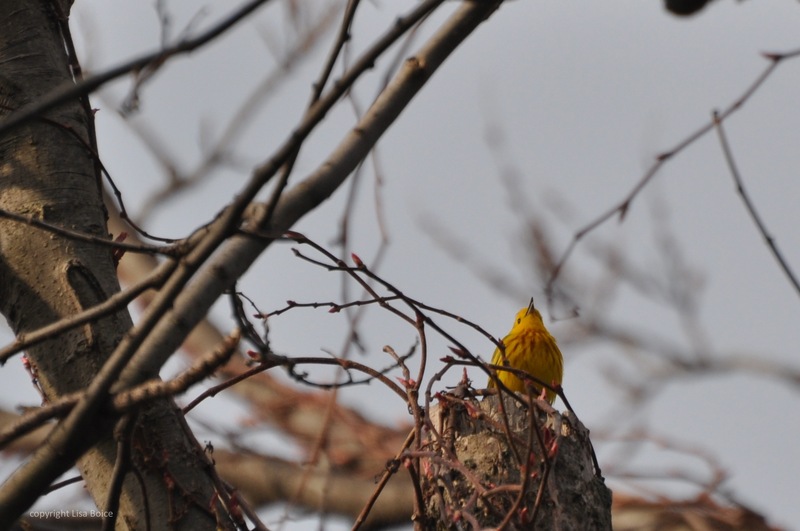 The following photos of Warblers are those that were willing and cooperative and apparently not part of the conspiracy. I hope I haven’t outed them here. 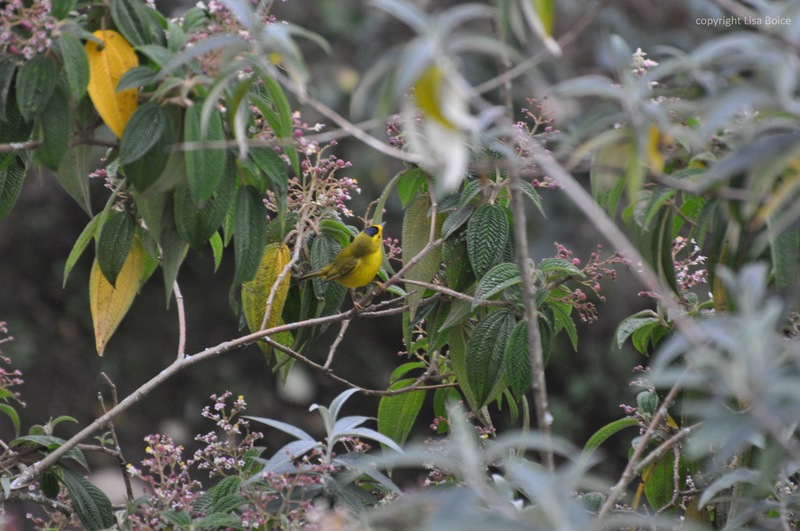 Ugh I’ve had the same luck with warbler photography. 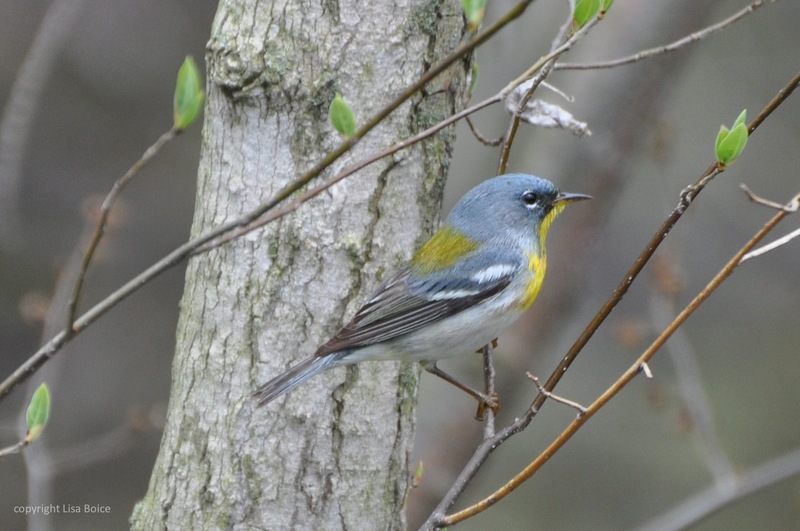 The ratio of acceptable warbler photographs to number of warbler species I’ve seen is terribly skewed. 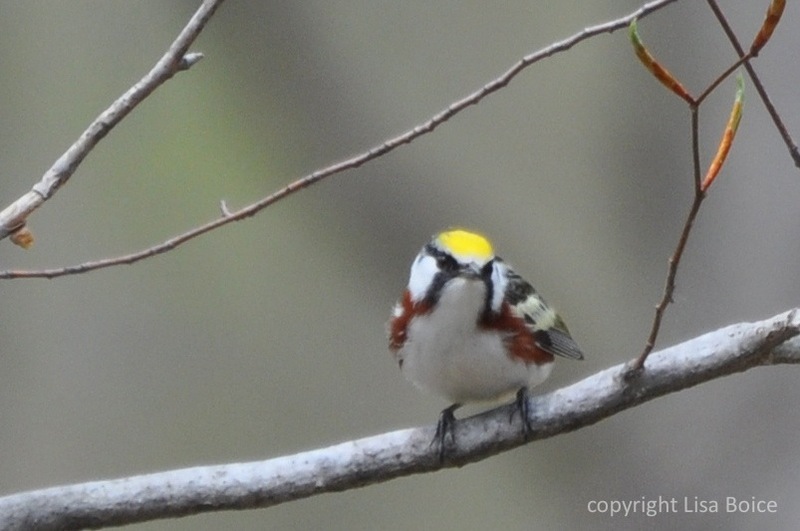 The Tennessee you posted above lacks the lime green or yellows that they should have….I’ve never for sure seen one, but that looks a lot like a Brown-capped Vireo. Why, Segullsteve, I think you might be right! My husb and I have consulted our Panama Field Guide and we’re torn. 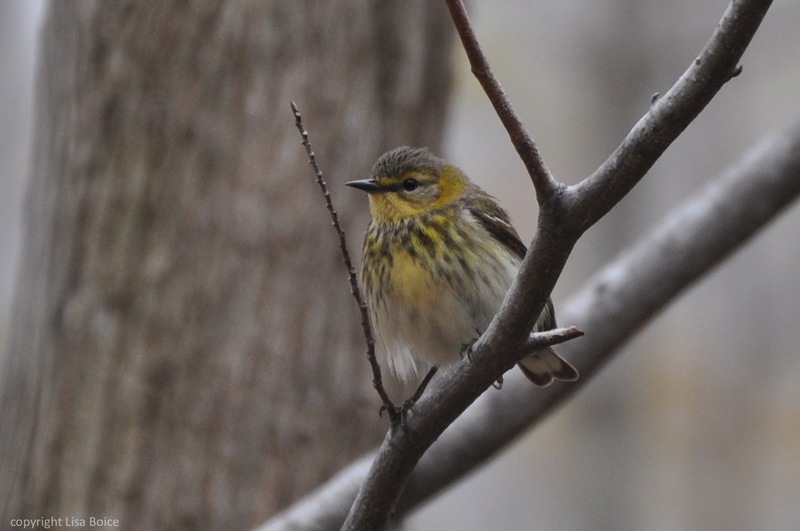 Might be an immature Tennessee Warbler, but it could be the Brown-capped Vireo. 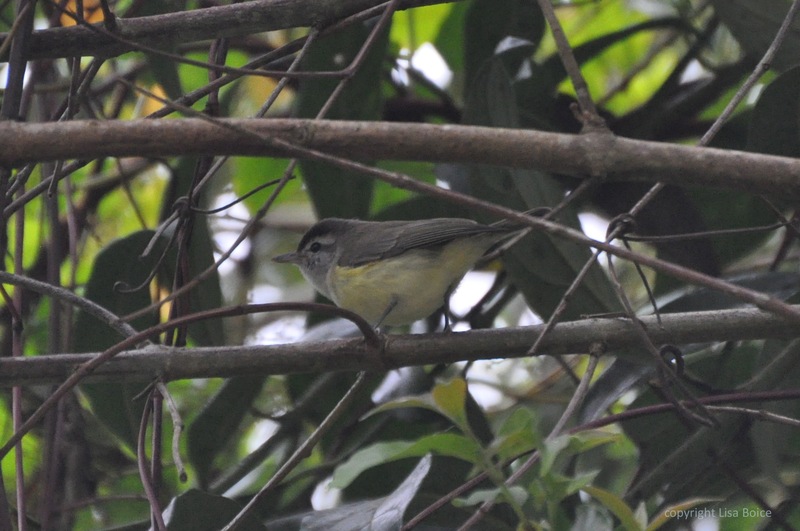 According to the field guide the Vireo has a limited range in Panama where this was shot, so that’s why we lean toward the Tennessee Warbler (I believe my husband is going to be up all night studying the photo. Maybe he’ll have this figured out by morning.) 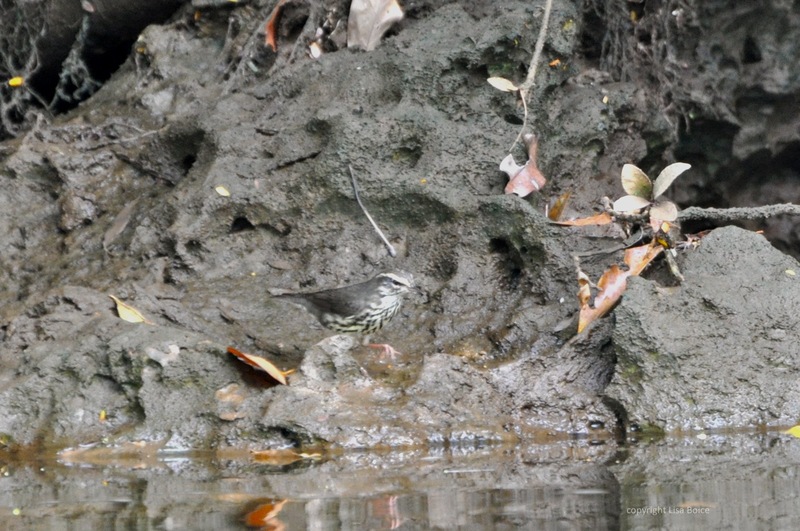 But hey, if it’s the Vireo that would have been a good find, no? Sigh. I guess that’s why I’m the Accidental Birder. Nevertheless, good eye! I always welcome the expertise of others. I think you are right. 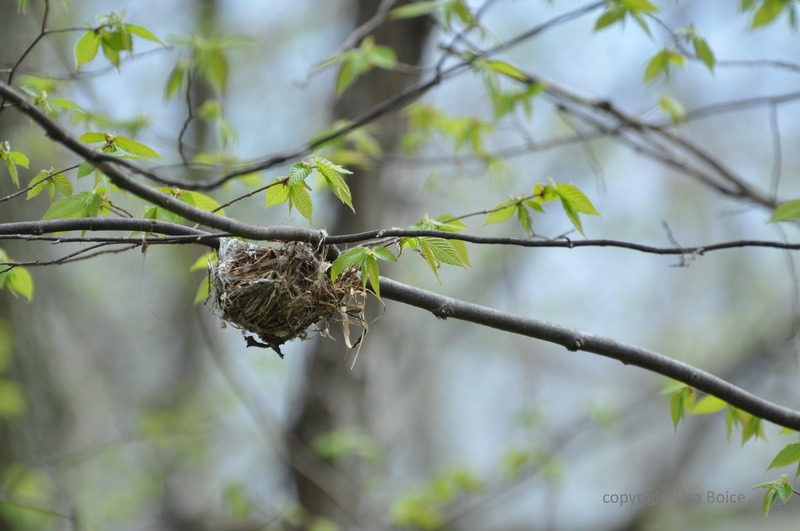 Judging by the thick bill this would be a Brown-capped Vireo and not a Tennessee Warbler which has a thin, dark bill. Lisa, I think the warbler photos you’ve gotten look just lovely! 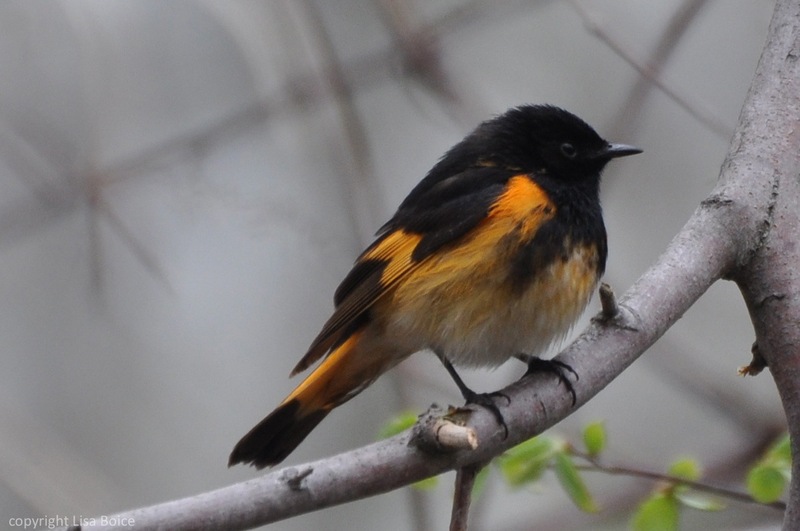 I really like the slaty-throated redstart (probably because I’ve never seen one!). Thanks! 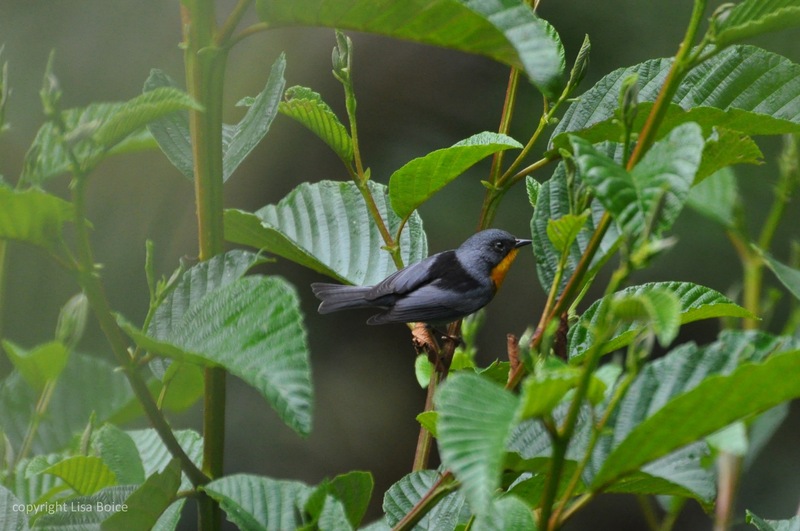 I’m in love with the slaty-throated redstart too! 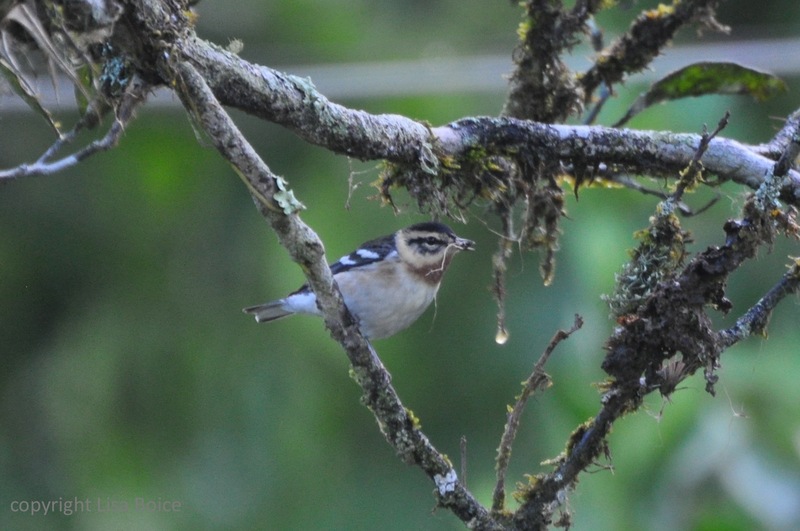 Do you all have any birding trips coming up? We’re thinking of going to Ecuador next year. Ha! 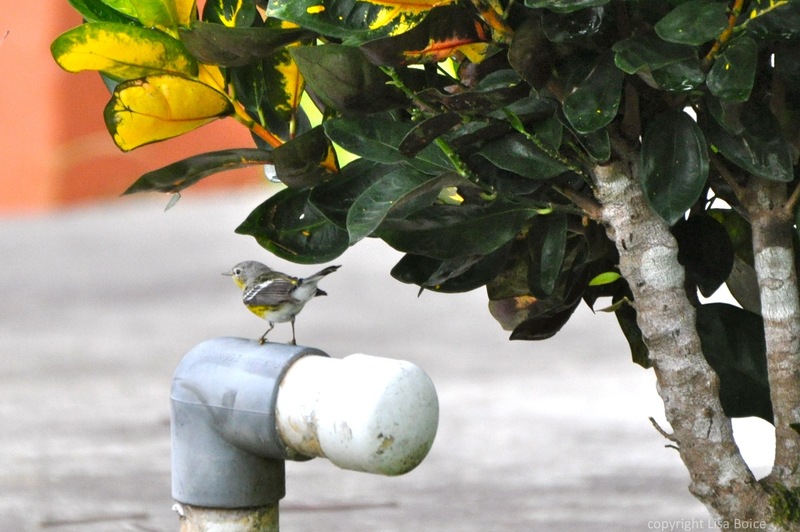 I think you’re setting a pretty high standard in the Warbler photography war! Seriously, nice sequence of shots. 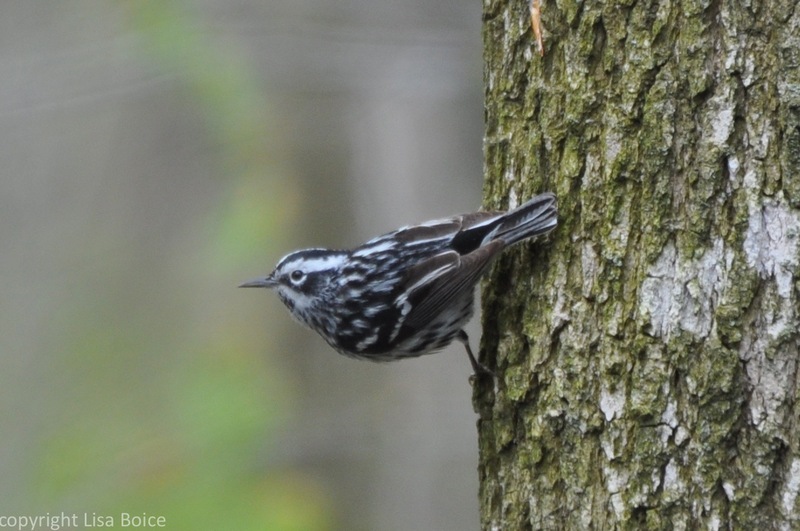 Your list of photographed Warblers is straight-up prodigious. Laurence, why THANK you! I’m going to keep trying to get photos of those darn warblers, come hell or high water. Wow, that’s a collection to be proud of! To heck with the flighty, shy ones. Thanks so much, Sue! Let’s see if I can get a shot of the one in the backyard. I’m determined!